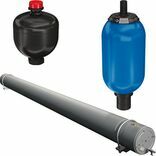 Where cyclical motions take place, hydraulic accumulators are able to reduce the installed power and thus increase energy efficiency. 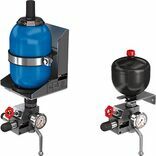 Our well-structured portfolio of bladder and diaphragm type accumulators meets the requirements of systems of all sizes and of all applications. Their convincing features are the long life cycles and sophisticated details.